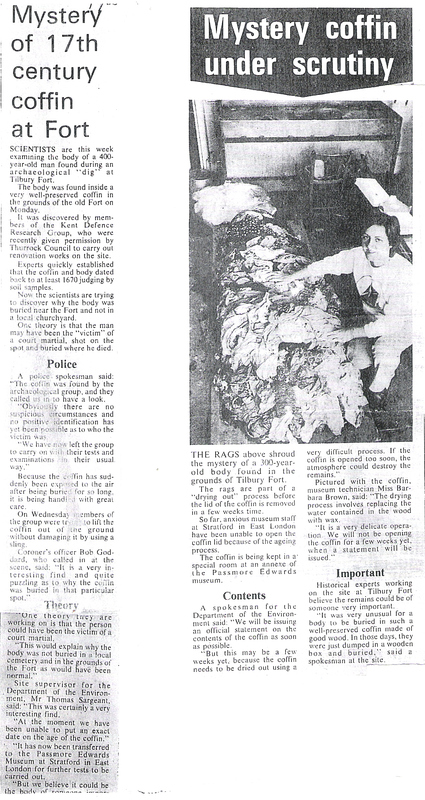 Here we have a newspaper cutting of a coffin found at Tilbury Fort in 1986, by members of the Kent Defence Research Group. Subsequently it was taken to the Passmore Edwards Museum at Stratford in East London. 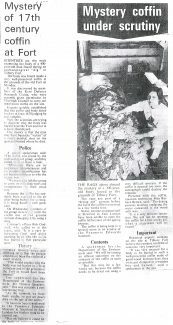 Is there any information to whom it may have been?